Above: Gabriel Makavi (1897-1982) at the founding meeting of AEMO in August 1982. [Source: Tempo no.622, 12 September 1982, p.55]. 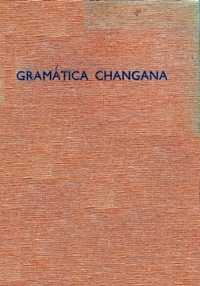 The caption reads «O poeta Macave que tem dos poucos livros existentes, publicados numa língua nacional, esteve também presente à Conferência». 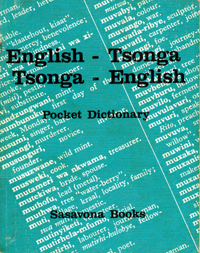 Left, top to bottom: English-Tsonga, Tsonga-English pocket dictionary 7th ed. 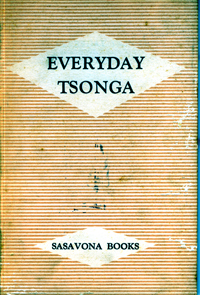 (Braamfontein: Sasavona, 1978); Armando Ribeiro, Gramática changana (Tsonga) (Caniçado [Gaza]: Editorial Evangelizar, 1965); M. Ouwehand, Everyday Tsonga (Braamfontein: Sasavona, 1978 repr. 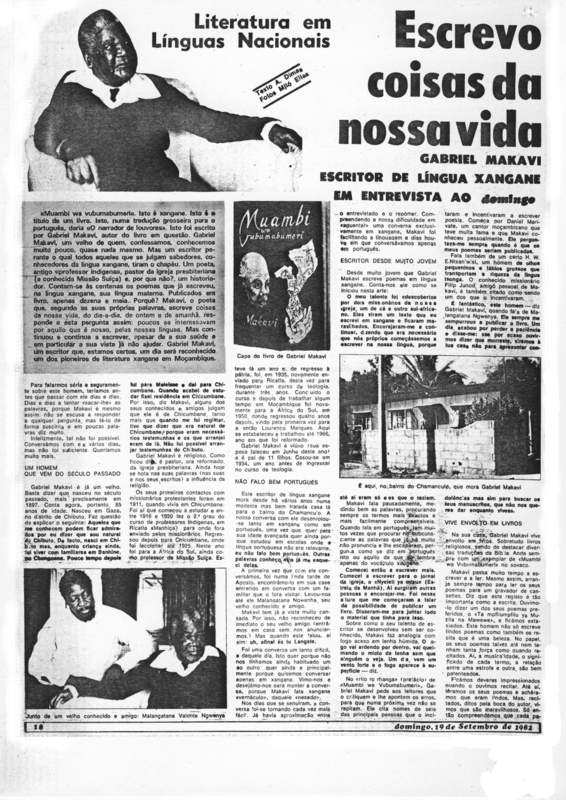 ); Makavi's book Muambi wa Vubumabumeri [The Narrator of Praises] (Braamfontein: Sasavona, 1980), 93 pages; and a poor-quality newspaper photograph of a middle-aged Makavi, reproduced from the Maputo daily Notícias, 13 October 1982, just after the poet’s death at the age of 85. 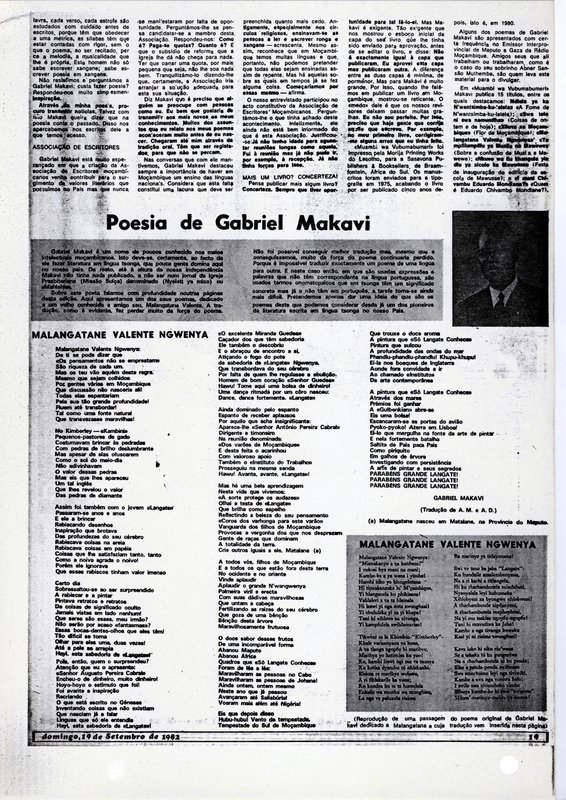 The Mozambican poet Gabriel Makavi is widely recognised as a major figure in Shangaan or Tsonga poetry in both his own country and in South Africa. His reputation rests mainly on the collection Muambi wa Vubumabumeri, published in South Africa in 1980, and bringing together works from the 1920s up to the late 1970s. 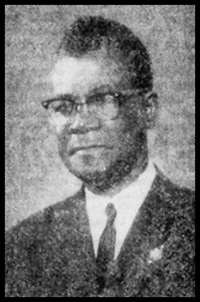 Makavi was a pastor of the Swiss Mission, the Presbyterian Church in Mozambique, and died in 1982, receiving considerable honours and recognition at his funeral, which was attended by hundreds of mourners. Xichangana or more correctly Xitsonga is a southern African language of the Nguni family, spoken by about two million South Africans and about 1.5 million Mozambicans. 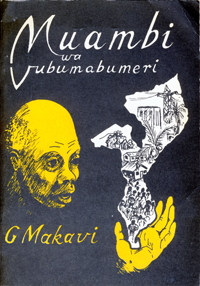 MHN has little documentation of Makavi’s life. He was involved in nationalist activity from the 1960s, and was imprisoned by PIDE along with Zedequias Manganhela and other progressive religious leaders in 1972. Included here is an interview published in the weekly Domingo a few weeks before his death, and some obituaries and tributes, as well as reports of the funeral. A good quality photograph of Makavi on the day of his ordination in November 1937 is available on the website of the University of Southern California Digital Library, here. The picture shows Makavi [often spelled Macavi] with Pastors Sibane and Mabunda, formally dressed in waistcoats, ties and overcoats. A. Dimas. Escrevo coisas da nossa vida: Gabriel Makavi, escritor de língua xangane, em entrevista ao Domingo. 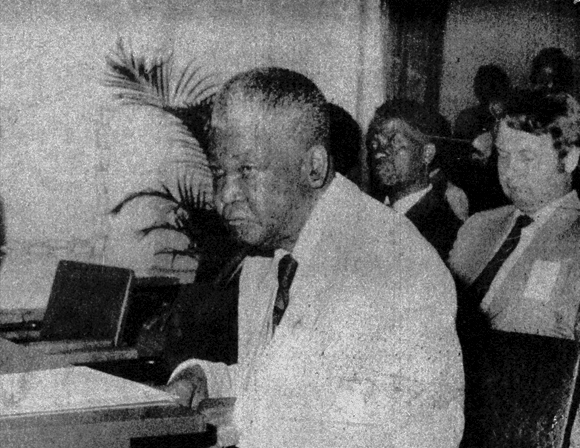 Domingo [Maputo] 19 September 1982. Click here to download a PDF file [3.9 Mb.] or here and here for better quality JPEG images [2.0 and 3.1 Mb. respectively]. Above: The contents page of Gabriel Makavi’s book Muambi wa Vubumabumeri [The Narrator of Praises] (Braamfontein: Sasavona, 1980), 93 pages. This page was first posted on Saturday 5 November 2011.